Dr. Bill Walsh experienced the self-healing affects of the body through chiropractic care at a very young age. Being a sports fanatic all his life, Bill played any sport that passed his way. Unfortunately, by the age of 15, he was unable to play high school sports due to excruciating pain in his lower back. Finally, Bill received chiropractic care and was cured in 3 months after suffering for 2 years! It was then he decided he wanted to become a chiropractor. Bill went on to receive his B.S. in Biology with a concentration in chiropractic studies from Bloomfield College in New Jersey on a cross-country scholarship. His studies continued at New York Chiropractic College where he graduated in 2013. After graduation, he worked in a chiropractic office in Florida, until recently, when he moved back to be closer to friends and family. Dr. Bill enjoys outdoor activities including hiking, running, and just about any sport available. 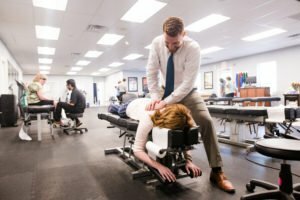 Dr. Bill hopes he can pass on the relief he experienced through chiropractic to others in need of help.